If these domains are not currently hosted, update your domain nameservers to our parked servers to prevent possible charges from your prior registrar and enable your domain's new features. 1.In the Products section, click on Domains. 2.Click the Launch button next to the domain name you want to modify. 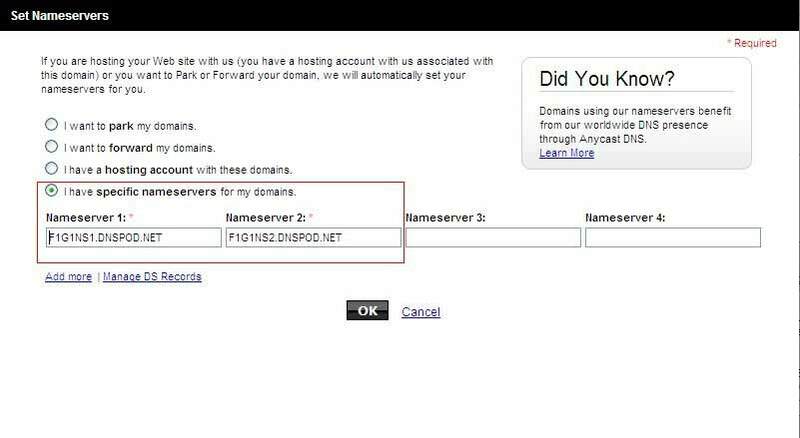 3.Under the Nameservers dropdown, select Set Nameservers. 4.Select your preference and click OK. If you are going to be hosting the domain(s) with GoDaddy.com, once the hosting account is set up there will be no need to modify the nameservers. It is important that you verify that your contact information is complete and up to date. Failure to keep your contact data current may result in the cancellation of your domain name. If you need any further assistance or technical support, call us at (480) 505-8877 day or night, or email us at support@godaddy.com. We appreciate your business!